you don’t run and hide. Jo is confident her life is about to spiral out of control and change irrevocably. What she doesn’t expect is just how far her world will tilt. Floundering and confused, she discovers life and love isn't always knee deep in hearts and flowers. Sometimes, life’s middle finger is pointed firmly in the air. Liam never expected perfect, but from the moment he said "I do", he knew he had it. What he doesn’t expect, is life throwing crapballs the size of Ayres Rock at him! Sometimes, life’s aim is a little too accurate. When Mother Nature steps in and throws their world into disarray, Liam and Jo need to decide just how far they’re willing to go to find their perfect love. 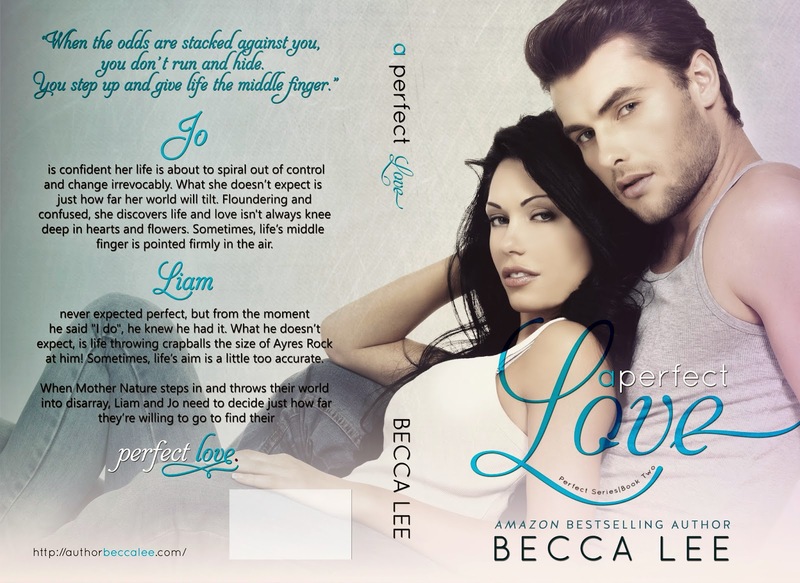 Be prepared for the release of A Perfect Love by cuddling up to Becca Lee's A Perfect Moment, (Perfect #1) in her Perfect Series. She can still be found regularly on the beach with her family. Becca tends to leave the surfing to her boys; she's far too busy immersed in her own writing or, of course, with her head still buried in a new read.